Here is an activity that I was meaning to create for a while now to use in my teaching. A nice way to show and review the prefixes and suffixes attached to the core verb root to conjugate it for different subject pronouns. I’m going to print this document double sided so I end up with only one sheet for each student. Then I’ll laminate the sheet so the students can fill in the blank using a dry erase whiteboard marker. 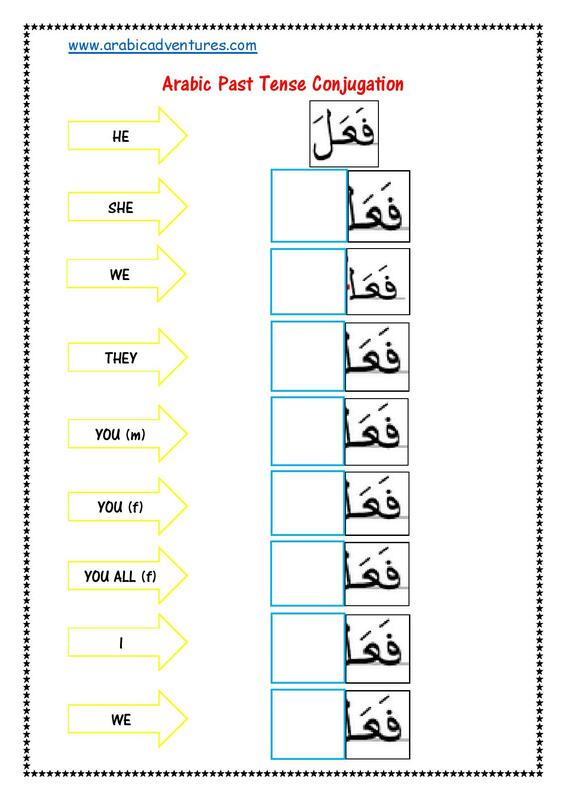 Here is the pdf of Arabic tenses Fill in the Blank activity sheet. I hope you find this helpful insha Allah! 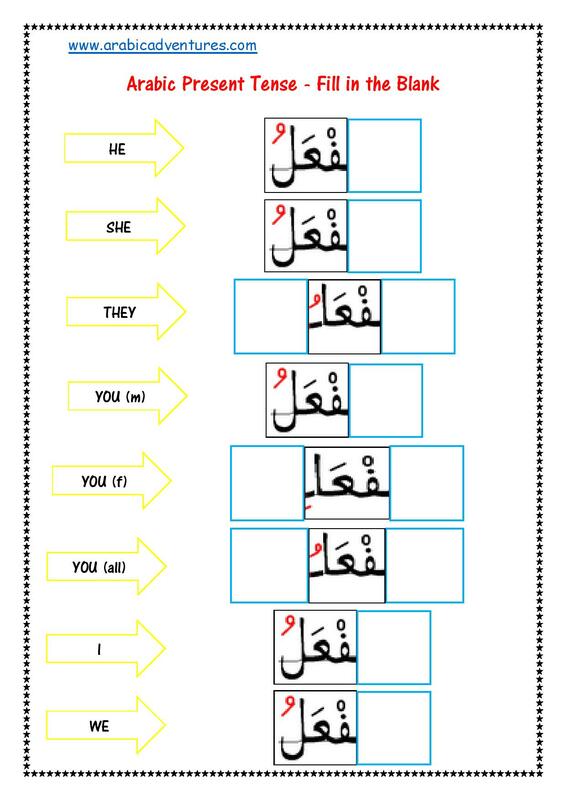 This entry was posted in Arabic Grammar, Arabic worksheets, Games and tagged activity, arabic, arabic fill in the blank, arabic flashcards, arabic game, arabic games, arabic grammar, arabic grammar review, Arabic Language, arabic past tense, Fi'il mudari', fil madi, Qur'anic, Qur'anic Arabic, Quran curriculum, quran syllabus. Bookmark the permalink.